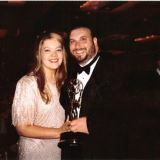 Roy Schneider has won Six Emmy Awards and earned over 20 nominations for contributions to his field. Over the past 20 years, Roy has been helping Companies, and Television Networks, advance their brands by engineering content that stands out from the clutter. As the creative force behind hundreds of commercials, promos, music videos and television programs like Sesame Street and New York Knicks, Roy’s work has garnered much attention. It is his unique style and approach to production that has attracted Networks and Agencies from around the country, to seek out his advise and services.